Any body any advice on leg room, seating position on B King. I'm getting one end of November. But now concerned about knee's when changing gears, brake, etc. All help will be much appreciated with any mods that can help. As she's a beauty and she's in a class of her own. Thanks Dave I'm drooling at the prospect of getting my hand and legs rapped round the beauty. Funny thing is I hate marmite. Hi there and welcome,I am also new to the B king I also have a GSX1400 and I did notice the leg room was a bit different and could fill the tank with your knees, but after a few rides you get used to it and now I just jump on and don't even thick about it and i am 6,3. You can buy foot pegs that lower your feet which i was going to do but did't bother with. Thanks I thought as much but there so many wingers about tank problems and leg room. You start to believe the hype. But you have put my mind at ease. He modifies a set of Buell Pegs and they're awesome. I am 6'2" and could not get my knees under the tank until I put the new pegs on. Simple install, they look like the rear pegs so they match. An absolute must for tall riders. the brake and gear pedals, which should be set about 60mm below the foot pegs level. Thanks I will keep that in mind. It's nice to know there are still people who don't mind passing on their knowledge and wisdom. I'm 6.2 (1.89 m) and just slide back all the way on the seat to fit my knees in. I find it very comfortable to ride like that. No changes to that bike whatsoever. Thanks that's great to know. . At least now I have options if I have problems. But every one has put my mind at ease. I can't wait now to get the girl. You'll be so pleasantly surprised by the way these bikes ride. 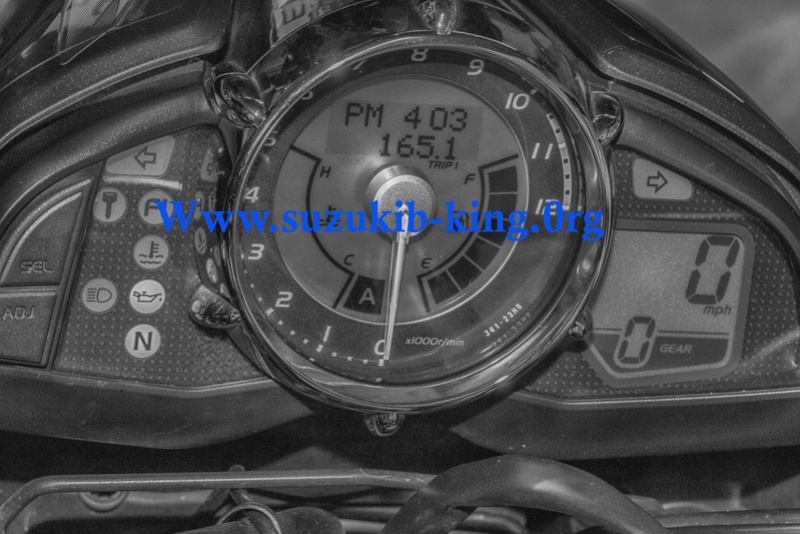 Even if you have been used to nimble bikes (in my case the 929 Fireblade) the B-King is such a pleasant surprise it's amazing how Suzuki got it to handle this nice. When I rented one for the long weekend, my wife was on the back, we went into the South of the Netherlands (Limburg) with some really tight twisties and I was soo surprised how easily I could wind it round the turns, downhill with quite a lot of weight (I'm quite tall, my wife is not very heavy) and it still handle very very very well. Sounds like fun.. just making the wait even worse. I'm recovering from cancer three months in the clear so far. That's why I got back into biking. Life too short not to enjoy it. So far so good on the cancer front.. but early days though. But they tell you to make every day count.. so the b king seems fitting. Thanks .. I think most bike riders have the same idea's. . That's why we enjoy biking. I am 6 ft 11 and although tall ride my king like a tuned moped.... I have gillies rear sets my knees sit nicely under the pods.... I found I had to remove the peg that sits on the side stand as it got in the way.. Thanks for responses all have been a great help. I bought my king brand new and didnt get a chance to ride it before i bought it. Rolled it out and come to find out my legs dont fit the king.